Here’s what you should know about Kodi, What is kodi and is kodi legal? Kodi (formerly XBMC) is a free and open-source cross-platform software media player and entertainment hub developed by the XBMC Foundation for digital media for HTPCs (Home theater PCs) and TV audiences, which is totally free. It lets you play videos, music, podcasts and other digital media files from the internet, local storage or a home network. What is Kodi and its features? For those unaware, Kodi was originally created for the Microsoft Xbox as XBMP – Xbox Media Player – in 2002. It quickly evolved to become Xbox Media Center (XBMC) in 2004 and was later renamed to Kodi in 2014 by XMBC Foundation. Kodi has a community of its own that is constantly being upgraded by countless of coders around the world. Since its creation, Kodi has been shaped by more than 500 software developers and more than 200 translators. Kodi works as a centralized media centre that allows you to access all of your digital audio, movies, TV shows, music collection and photo library from a single, convenient place. The content can be accessed whenever and wherever you are. You can run it on televisions and set-top boxes and streaming devices. Kodi includes different section such as audio, video, and image formats, playlists, audio visualizations, slideshows, favorites, weather forecasts, and third-party plugins. Kodi allows you to add plug-ins to the software to add functionality. For those unaware, a plug-in, is a software component which can be added to a Kodi to add a specific features such as TV program guides, YouTube, Hulu, Netflix, Veoh, online movie trailer support, and Pandora Radio and podcast streaming or other capability to the software. For Kodi, a plug-in is most commonly used to enable users to stream online media content through the software. Kodi also functions as a game launcher on any operating system. However, Kodi does not supply or include any media or original content. This means that you should provide your own content from a local or remote storage location, DVD, Blu-Ray or any other media carrier that you own. It also does not come with an internal digital TV-tuner backend for Live TV functionality. It supports electronic programme guides, and smartphone apps which allow users to turn their smartphone into a TV remote. Kodi turns any computer, smartphone or tablet into a digital set-top box or streamer, that allows you to stream files from the internet, a home network and local storage. The most popular way people use Kodi is to stream TV from the internet — including live TV, live sports, TV shows, and movies. Kodi allows you to download a range of community-made apps or *** add-ons, and watch whatever you like. *** Add-ons are packages that add features and functions not normally included with Kodi. Add-ons are developed by people on Team Kodi and third-parties. Kodi can play a slew of audio formats, including AAC, MP3, and OGG. It also comes with smart playlists and the ability to tag different tracks. Kodi also allows you to stream pictures and import images into a library and start a slideshow, among other features. The platform can also be personalized and customized in a wide variety of ways. Kodi, one of the most popular home-streaming services, is available on Windows, Mac OS X, Linux, Android, BSD and even Raspberry Pi computer, which means that you can download Kodi onto your personal computers, or laptops, and on most mobile devices and tablets as well. However, the process for iOS is slightly complicated, as Kodi is not available from the Apple App Store. iPhone users will have to ensure that their phone is jailbroken before downloading it. Kodi is also compatible with hundreds of different remote controls. For those who wish to use Kodi on their TV but don’t own a smart TV can still get it by downloading it onto a cheap media player, such as the Amazon Fire TV Stick, which runs Android. The answer is yes as long as you are using it to play files you own the copyright for. While the Kodi software itself is not illegal, its open source development platform is the one to create third-party plugins and add-ons that can be used for illegal activities, such as accessing live, copyright-protected sports broadcasts, or watching pirated copies of Hollywood films or the latest can’t-miss TV series without paying. While some add-ons are entirely legal (such as YouTube, Hulu, and Spotify), others are most definitely illegal. 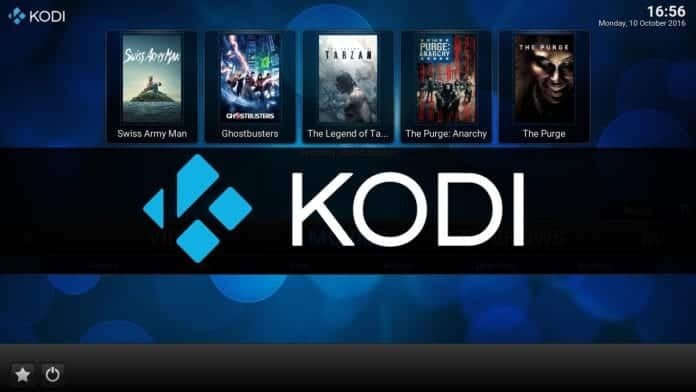 Lately, Kodi has been drawing criticism from media regulators and legal content providers due to the people who are selling Kodi boxes by adding illegal third party add-ons. For those unaware, a Kodi box is essentially a set-top box or a HDMI stick with the software installed on it, which allows people to stream shows and watch them on any platform including a computer, smartphone, tablet or set-top box. However, some boxes are being modified using third-party plug-ins to access paid content channels, illegally allowing people to watch the shows free of cost. Although, it is legal to buy Kodi boxes and watch free content, it becomes illegal when a box is used to stream subscription channels for free. It is also illegal to buy or sell these modified boxes. Team Kodi too on their website have mentioned that watching illegal content which would otherwise be paid for is not endorsed or approved by them. The XBMC Foundation has taken steps to disassociate the Kodi project from these illegal products, including threatening legal action against those using its trademarks to promote them. As we can see that while Kodi continues to do nothing wrong, the software remains highly controversial. Given that the platform is growing popular with each passing day, it’s unlikely that the controversy surrounding it is going to die down anytime soon.